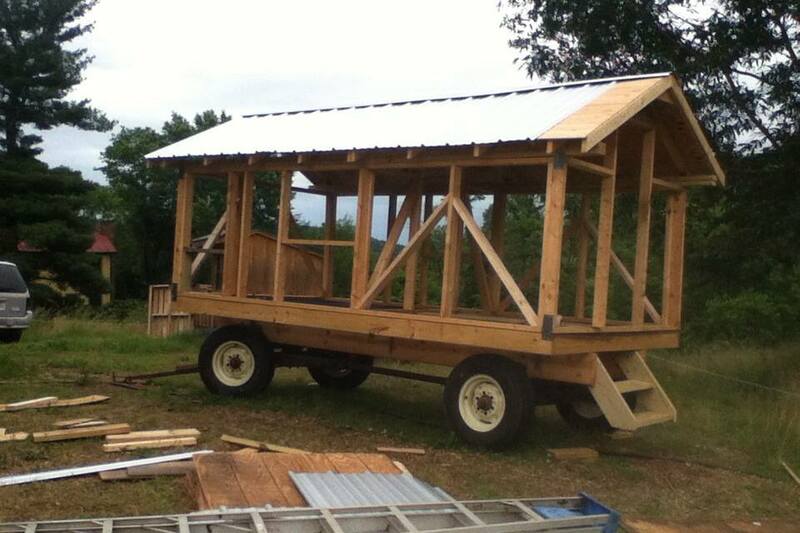 When our son Timothy was home from college for the summer, he built us an "Egg-mobile" - a chicken coop framed on top of a hay wagon running gear. We pull it with the tractor every few days, giving the 40+ hens large areas of fresh pasture full of bugs and weeds. They follow the cows, helping to reduce fly population by eating the larvae during the summer months. We keep a variety of hens who are prolific layers, friendly, and good foragers. Some of the breeds we have or are keeping are: Golden Comets, Cinnamon Queens, White Leghorns, Brown Leghorns, Rhode Island Reds, and Americaunas (green egg layers). In 2018 we got roosters, so we may be on the road to having our own chicks raised by mommas on site!